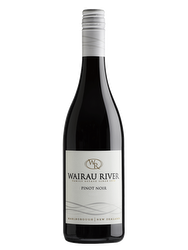 Its dark garnet color announces an exuberant nose with hints of eucalyptus, menthol, dark fruits, citrus zests and faded violets. 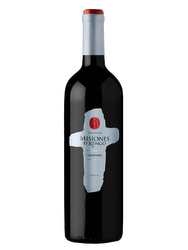 The palate is heady and full-bodied with spicy notes and a finish on tight tannins. Located South of Santiago, the Central Valley is Chile's flagship winegrowing region. A combination of several factors, such as the semiarid climate, poor soils, a constant irrigation and a temperature gap between days and nights makes it an ideal region to grow wine. Associate the ancestral savoir-faire of the maison Philippe de Rothschild to the chilean identity and obtain an atypical and unique range of wines. Terroir: Located in the Central Valley, the Maïpo Valley lays on diverse soils with vines that are facing the north and benefit from cold nights. Viticulture: Producer-grower, the Philippe de Rothschild maison also buys grapes through established partnerships with local winegrowers. The harvests are handpicked and thoroughly transported in crates to the vat room. Vinification: Varying from one tank to another, the fermentation usually lasts for a while in order to obtain a balanced tannic structure. The wine ages for 12 months in french oak barrels.